Several Star Wars teasers were released to the public in 1998 to build anticipation for the next chapter in the Star Wars saga, The Phantom Menace. Even though The Phantom Menace would not open in theaters until May 19, 1999, Hasbro had two preview toy offerings in 1998: A mail away Mace Windu action figure and a STAP with Battle Droid action figure. These sneak preview offerings were eagerly purchased by Star Wars fans and Dark Horse Comics capitalized on this built up demand when they released Star Wars #1 in December 1998 one month after the first trailer for The Phantom Menace was shown to movie going audiences. 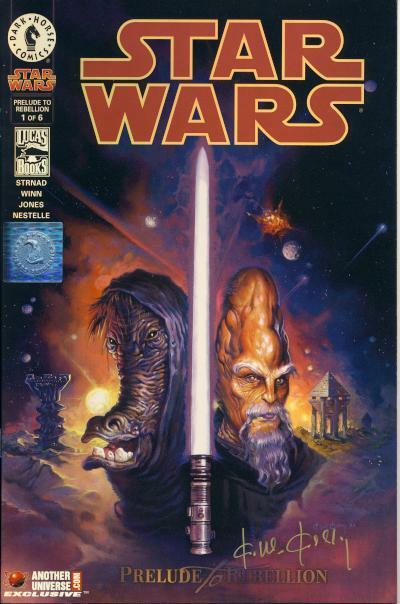 This would be Dark Horse's first comic titled simply Star Wars. Dark Horse would release another Star Wars #1 in 2013. 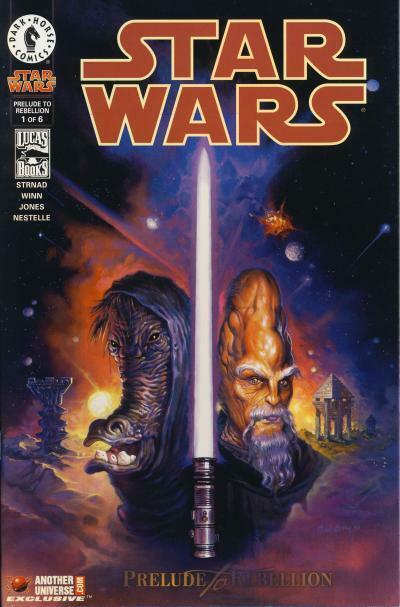 The big draw for Star Wars #1 was the character Ki-Adi-Mundi, a Jedi Knight who appeared in The Phantom Menace movie during the Jedi Council scene. 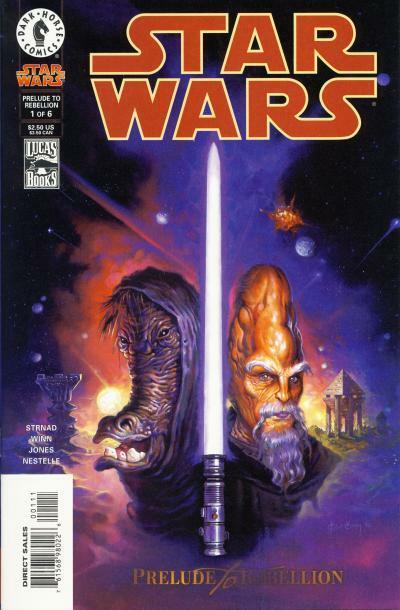 In a storyline titled Prelude to Rebellion, Ki-Adi-Mundi returns to his homeworld of Cerea where he faces a budding rebellion. 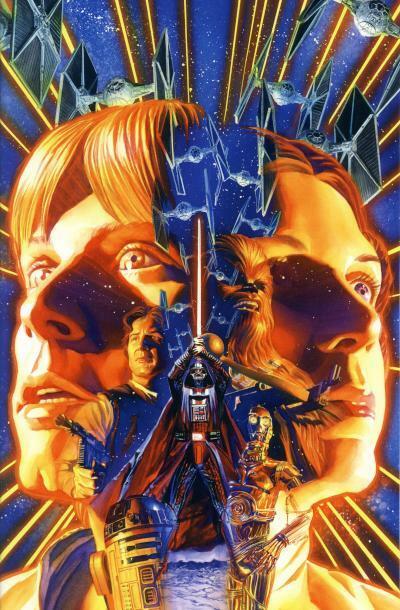 In addition to the regular issue, the now defunct AnotherUniverse.com offered an exclusive chrome cover variant for Star Wars #1. AnotherUniverse.com also had a Ken Kelly signed copy of their exclusive comic. This was Ken Kelly's first Star Wars comic cover and he would go on to produce several more Star Wars covers for Dark Horse. With a new Star Wars movie coming at the end of this year, it should be expected that Marvel Comics will have a teaser of some sort for Star Wars fans. In the late 1970s, Star Wars was a huge hit, so it makes sense that libraries would want to capitalize on that success. The interior of this library hardcover is a Marvel Special Edition Star Wars #2. 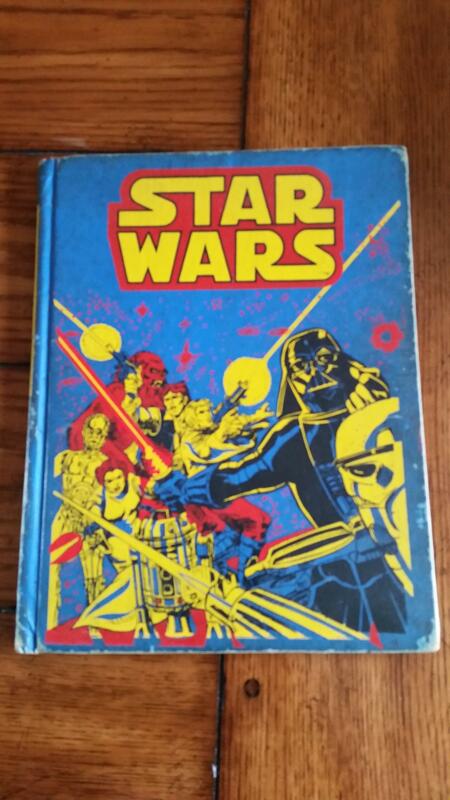 The original cover would have been destroyed quickly by kids eager to read the exploits of their favorite Star Wars heroes, so this softcover was affixed to the hardcover making the comic more durable. 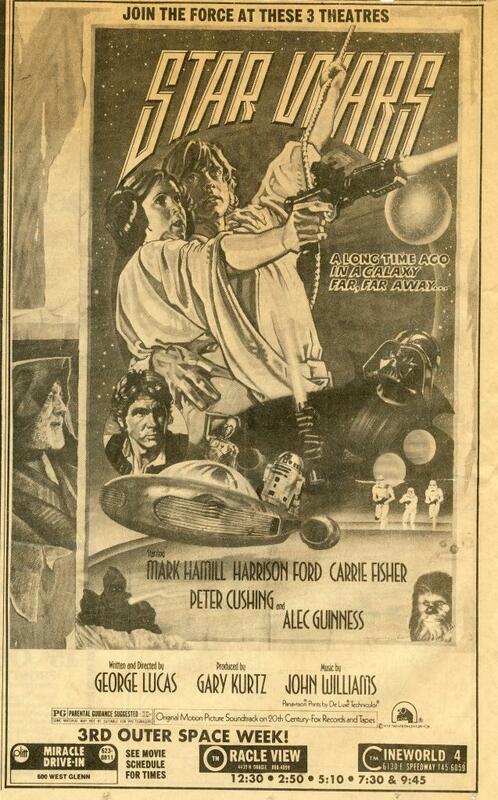 Star Wars had a fan club as far back as 1978, the year after the first movie was released. The fan club offered a yearly subscription to a Star Wars periodical and a membership kit. From 1978 to 1986, the periodical was called Bantha Tracks. In 1987 Bantha Tracks transformed into the Lucasfilm Fan Club Magazine. In 1994 the Lucasfilm Fan Club Magazine was renamed to the Star Wars Insider which has been the name of the magazine to this day. Over the years, the membership kits included items like patches, stickers, posters, pencils, and other Star Wars branded merchandise. The name of the official Star Wars fan club from 2004 - 2010 was called the Hyperspace Fan Club. The last year of the Hyperspace Fan Club had a membership kit that included a Dark Horse comic that reprints the Thank the Maker story from Star Wars Tales #6. This comic is one of the harder to find comics published by Dark Horse. A copy sold on eBay on January 10th, 2015 for $340. 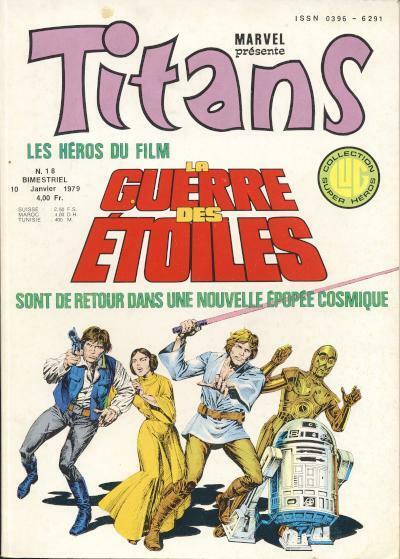 The French anthology magazine Titans had several Star Wars covers during the Star Wars run in that title. Some of these covers are based on the original U.S. covers and others are entirely new depictions of events within the story. Titans #32 features a cover based on the original Marvel Star Wars #26 that is contained within its pages. Neither cover accurately shows the familiar rebel pilot uniform worn by Luke Skywalker at this point in the story. 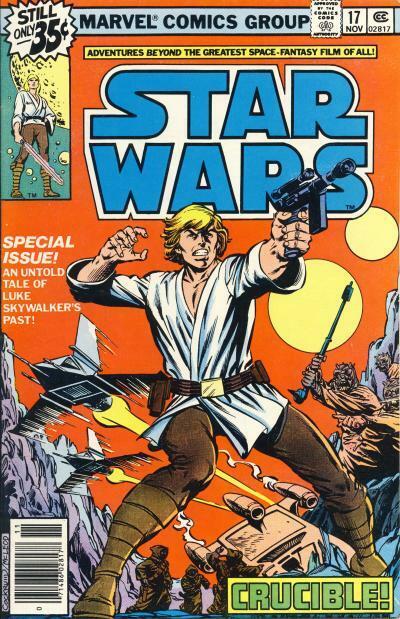 Instead the U.S. cover shows Luke wearing his all too familiar white tunic from the original movie. Outside of the rebel pilot uniform, Luke Skywalker would not change his clothes in Marvel's stories until The Empire Strikes Back! Even though the story was original published in the U.S. before the sequel, the French cover has Luke wearing the jumpsuit he wore in The Empire Strikes Back. Luke is shown viewing his trusty companion R2-D2 after having been shot by a House of Tagge TIE pilot. 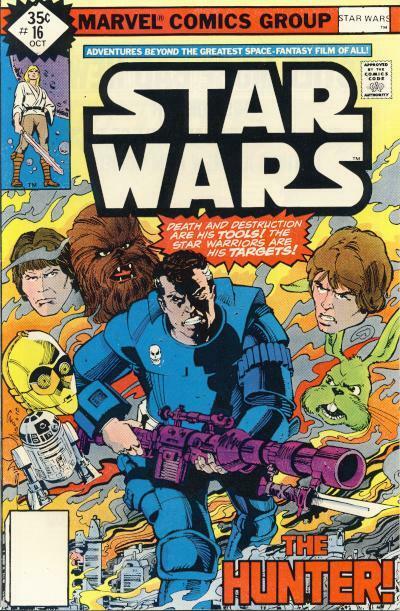 On both covers the TIE pilot is looming in the background although on the U.S. cover the pilot is menacingly aiming his pistol at Luke's back. Absent from the French cover is the wrecked TIE fighter. 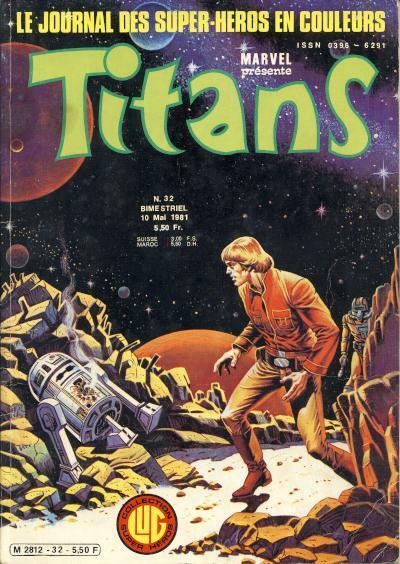 The anthology Titans magazine was used to bring the Marvel Star Wars stories to the French public. Star Wars was published in Titans from issue #18 - 95. Each of these Titans issues contained 4 Marvel comics, only one of which was Star Wars. Marvel Star Wars #7 - 10 was never published in Titans. 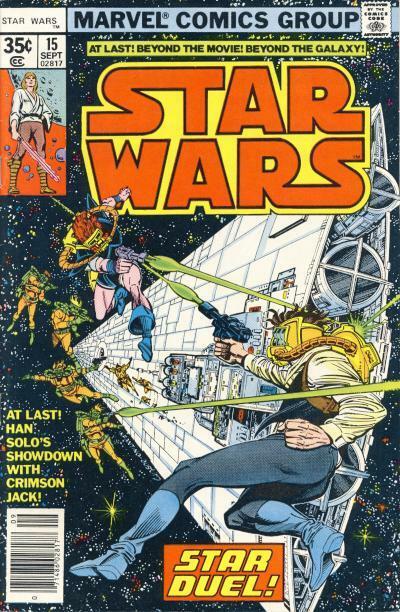 The first Star Wars story published in Titans #18 came from Marvel Star Wars #11. The cover is an original commission for the Titans magazine and shows our intrepid heroes ready for action. Featured are the main heroes from the first movie, Han Solo, Princess Leia, Luke Skywalker, C-3PO, and R2-D2 on a static white background. Noticeably missing from the ensemble is Chewbacca. The blurb reads "The heroes from the film Star Wars are back in a new cosmic epic." Star Wars ends up rotating cover duty with the other features in Titans during its run. It is possible the publisher Lug decided to start with Star Wars #11 since this is the first original story from the Marvel Star Wars comic to star all the principal characters. Star Wars #7 - 10 contains a story with only Han Solo and Chewbacca. Lug published the movie adaptation in a separate comic. In the Star Wars comics, there have been a few characters that have used the Starkiller name. The Starkiller name has significance to Star Wars fans, because it was the original last name for Luke Skywalker. In the first draft of the movie, we had a Annikin Starkiller. The second and third draft were subtitled The Adventures of the Starkiller and The Adventures of Luke Starkiller. Using unused ideas and names is a common occurrence within the Star Wars lore. (As another example, Anniken was changed to Anakin and became the first name of Luke's father.) For Star Wars aficionados, these links add to their enjoyment of Star Wars. It is doubtful that Marvel Comics came up with the name Starkiller without a tipoff of some kind from Lucasfilm when they named Jimm the Starkiller Kid, a native of Aduba-3 who teamed up with Han Solo and Chewbacca on their Aduba-3 adventure. It could have come about from a peek at an early script or a more direct prodding from Lucasfilm. 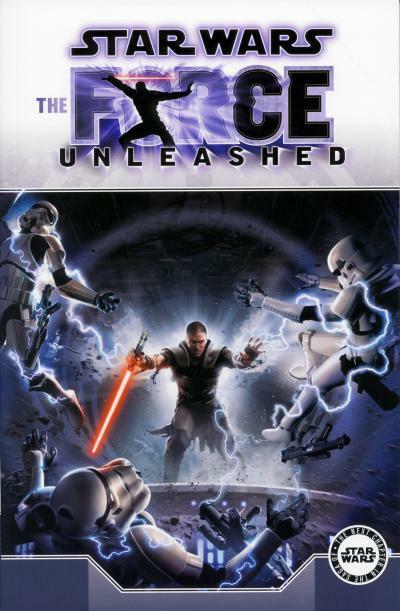 The Starkiller name was reused again years later when Lucasarts conceived of a video game titled Star Wars: The Force Unleashed featuring the secret apprentice of Darth Vader. Released in 2008, this game starred Starkiller, a Dark Jedi that Vader hoped to use to overthrow the Emperor someday. In the end, Darth Vader was forced to confront Starkiller. 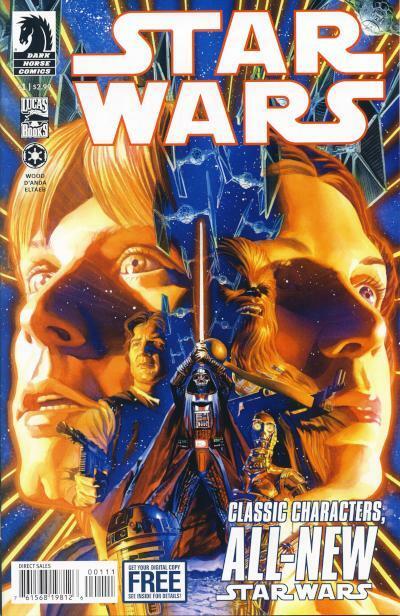 Dark Horse Comics created an adaptation of the story in an original graphic novel also titled Star Wars: The Force Unleashed. No successful video game is complete without a sequel. 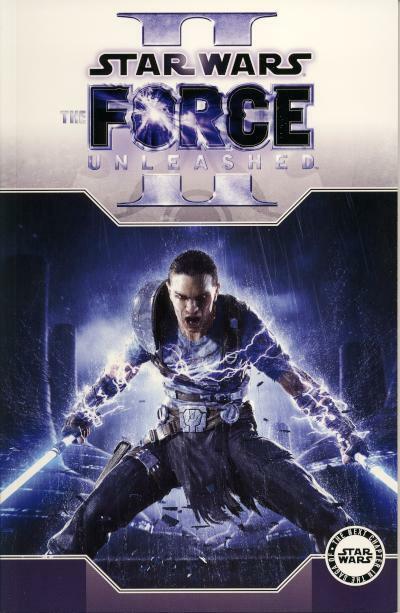 Released in 2010, Star Wars: The Force Unleashed II featured the clone of Starkiller from the first game. Unsurprisingly, Dark Horse released an adaptation of this sequel too. "Fast Now! I want a clean sweep... no survivors!" With those words, Valance the Hunter burst onto the comic scene as his crew attacked a medical facility, killing every being and droid. Valance is the original Star Wars bounty hunter, introduced in the pages of Marvel Comics Star Wars #16, before The Empire Strikes Back gave us Boba Fett and his cohorts. The galaxy that Valance inhabits in the pages of the Star Wars title help shape his character. Marvel picked up on the bigotry expressed by the bartender in Mos Eisley in the Star Wars movie when he said to Luke about the droids "We don't serve their kind here!... Your droids. They'll have to wait outside. We don't want them here." Throughout the early part of the Marvel run, there is an undercurrent of hatred towards droids (we would not find out why until the prequel trilogy) and Valance had an especially vengeful hatred of them. It turns out by the end of Star Wars #16 we learned the origin of Valance's hatred; Valance was an Imperial officer who was wounded in battle and turned into a cyborg to save his life. Cyborgs are treated even more poorly than droids in the Star Wars title. In Star Wars #16, Valance learns about Luke Skywalker's destruction of the Death Star and kind treatment of C-3PO and R2-D2. Valance becomes obsessed with finding and killing Luke and his droid companions, an obsession that would play out in the Star Wars title in future issues. Star Wars #16 is one of a few Marvel issues that does not focus on one of the main heroes introduced in the movies. Instead, it introduces us to a new villain and wraps us storylines for previously introduced characters like Jaxxon, Amaiza, Don-Wan Kihotay, and the Starkiller Kid. The Marvel Comics Star Wars title can be broken up into several eras, each era bookmarked by the release of a new movie. The first era ran from Star Wars #7 through Star Wars #38. This era is defined by a continuous storyline that is only interrupted by the occasional standalone story. After our heroes finish dispatching Crimson Jack and his pirate gang, they are whisked into their next adventure aboard The Wheel. The Wheel is a space station run by Senator Simon Greyshade and his droid companion Master-Com. It is a popular tourist destination where aliens from across the galaxy can gamble without fear of Imperial oversight or influence. This storyline ran for 6 issues in the U.S. series. 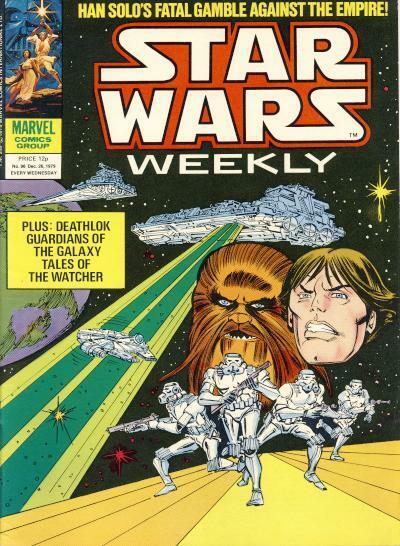 It is kicked off for British readers in Star Wars Weekly #35. The cover depicts the Millenium Falcon coming across the aftermath of an Imperial attack on a House of Tagge ship. The survivor of the attack is a soldier in the rebel alliance, although that is not clear from the colors used on this cover. In the U.S. comic, the color of the pilot's jumpsuit is the familiar orange worn by the rebel pilots in the movies. The back cover of Star Wars Weekly #35 contains a revised ad for the Force Beam. Unlike earlier issues, this ad now drops the overt Star Wars references and instead shows an even worse drawing of a character wielding one of the lightsaber rip offs. 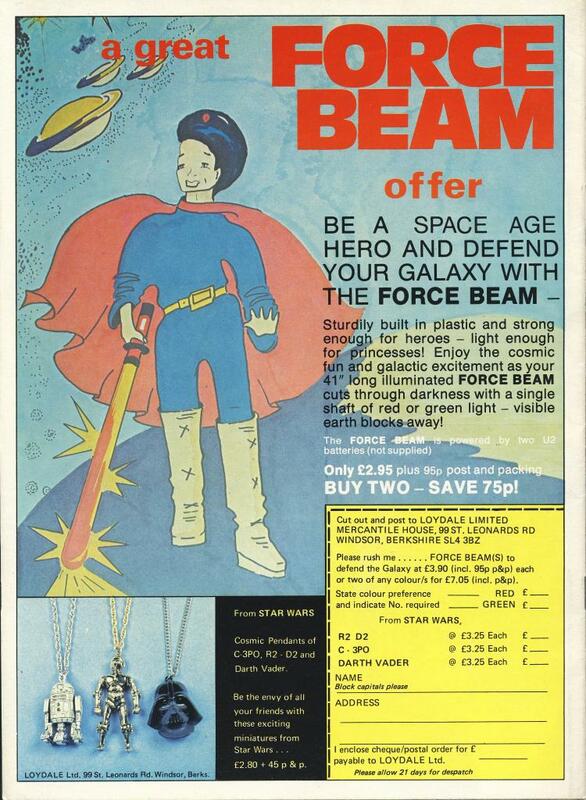 To link the Force Beam to Star Wars, they are also selling official Star Wars pendants in the ad. 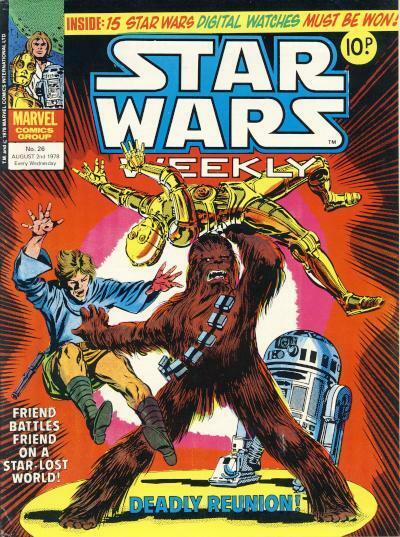 When the Star Wars Weekly began in February 1978, Marvel's U.S. publishing already had a backlog of Star Wars stories for the British market to absorb. 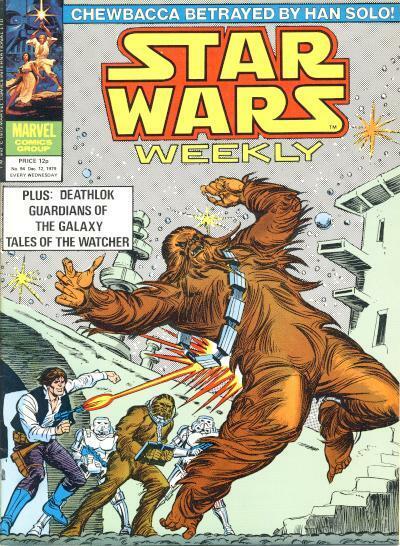 At first, each U.S. issue was broken up into 2 Star Wars Weekly issues. Eventually, the U.S. stories ran out and sporadically, as needed, original Star Wars content was created for the Star Wars Weekly. 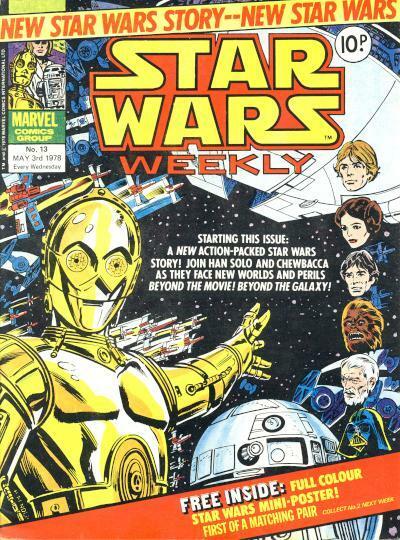 Not surprisingly, after the Star Wars Weekly caught up to the U.S. publishing, each U.S. issue was spread over 3 Star Wars Weekly issues to limit how much original content had to be created. Other science fiction Marvel properties were used to fill the magazine, including Micronauts, Guardians of the Galaxy, Deathlok, Warlock, and the Watcher. 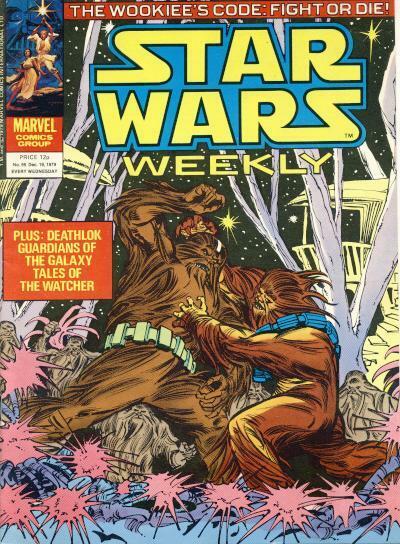 One original content storyline was Way of the Wookiee published in Star Wars Weekly #94 - 96. This is my favorite original British storyline and takes place before the events of the Star Wars movie. In the story, Han Solo and Chewbacca cross paths with an Imperial prison ship full of slave Wookiees bound for the Spice Mines of Kessel. Han Solo ends up dumping a spice delivery for Jabba the Hutt, providing a back story for the events of the movie. 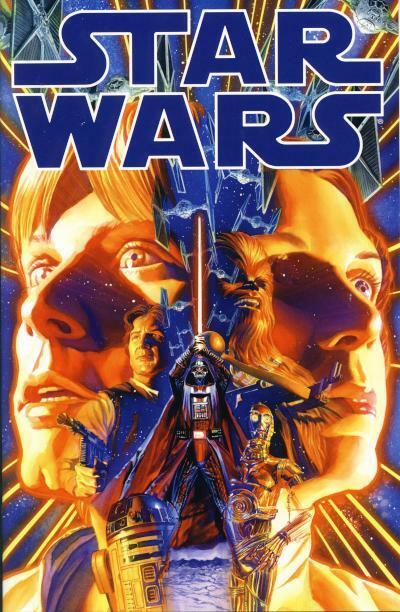 Marvel Comics released their new Star Wars title on Wednesday January 14, 2015 and, by all indications, it is a successful launch for this new era of Star Wars comics. Current projections place the print run of the new Star Wars #1 at over 1 million copies. Diamond Distribution is out of first prints of this issue and Marvel is going back to print. Does this sound familiar? A similar situation occurred for Marvel back in 1977 when they published Star Wars #1 based on the original Star Wars movie. If this 1 million number is true, Star Wars #1 will be the best selling U.S. comic in this century! It is not common for a comic to reach a print run of over a million copies regardless of the era. Modern era best sellers usually sell just over 100,000 copies. To achieve this feat, Marvel had to employ several marketing tricks. One marketing trick that is used frequently these days is variant covers. Marvel published over a dozen variant covers for general release to comic stores. Some of the variant covers were available for retailers to order like the regular cover, but to qualify for some of these covers, retailers had to purchase a large number of regular covers. The hardest to get of these incentive cover was distributed at a ratio of 1 for every 500 copies of the regular cover. Another trick Marvel used was to allow retailers to buy retailer exclusives copies with a unique cover. Retailers were offered these comics if they ordered a minimum of 3000 copies. A second "sketch" cover was available if they ordered 1500 more copies. The final trick Marvel used is a recent marketing innovation; Marvel is allowing Loot Crate to deliver an exclusive copy with their January offering. It is speculated this alone has contributed to the sale of 350,000 copies of Star Wars #1. All these add up to the new Marvel Star Wars #1 having over 65 different covers! Regardless of how it was done, I am happy to hear the new era of Star Wars comics is off to a strong start. I am hopeful the title will retain readers and a new generation of Star Wars comic fans are being created. George Lucas has said that the only characters to appear in all the Star Wars movies will be C-3PO and his counterpart R2-D2. This is true from a certain point of view. While Obi-Wan Kenobi technically has appeared in all the movies, he was only a spirit in The Empire Strikes Back and Return of the Jedi. Anakin Skywalker ceased to exist when Darth Vader was born becoming more machine than man. This leaves C-3PO and R2-D2 as the only witnesses to the events of all 6 movies and therefore the de facto keepers of the lore. It is therefore appropriate that they would serve as hosts on the cover of the first post Star Wars movie story in Star Wars Weekly #13. It is doubtful that C-3PO and R2-D2 will appear in all the future movies, deviating from George Lucas' plan. If the rumors are true about a standalone stories for Boba Fett, Han Solo, or Yoda, the writers would be hard-pressed to include these two droid companions without stretching credibility. The reason Han Solo did not repay the debt owed Jabba the Hutt was never revealed in the movies. But, readers of the Marvel Comics Star Wars title know why. The reward money was taken from Han Solo by Crimson Jack, the leader of a space pirate gang that operates from an Imperial Star Destroyer. Eventually, Solo and Jack cross paths again and have a duel in space that results in Crimson Jack being killed by Solo. That duel is captured on the cover of Star Wars #15 and again on the British Star Wars Weekly #30. This is my favorite cover of the Marvel Star Wars title. The British version reuses the art from the U.S. version with some minor color changes. The coolest color change however is in the British version Crimson Jack has leg covering tights! The Star Wars Weekly is published in black and white, so there is no way to discern from the content that the Crimson Jack character is wearing shorts without any other leg covering. For British readers, they had no way of knowing that Crimson Jack is suppose to be wearing shorts only. John Byrne had been a comic artist for several years before getting the job to draw the X-Men beginning with December 1977's Uncanny X-Men #108. That gig would propel John Byrne to comic stardom and he remained one of the most popular artists throughout the 80s and into the early 90s. 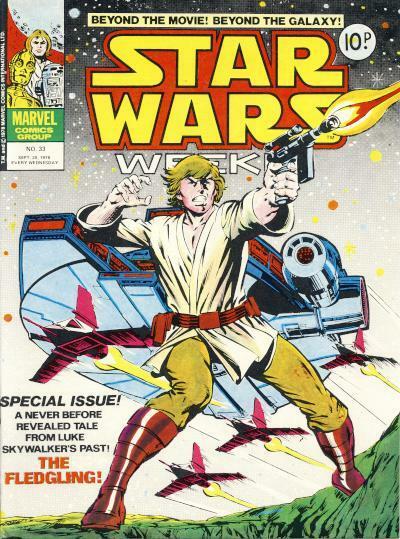 John Byrne only ever drew one cover for the Marvel Comics Star Wars title. His cover for Star Wars #13 was not used for the cover of Star Wars Weekly #26 but a new cover was commissioned instead. 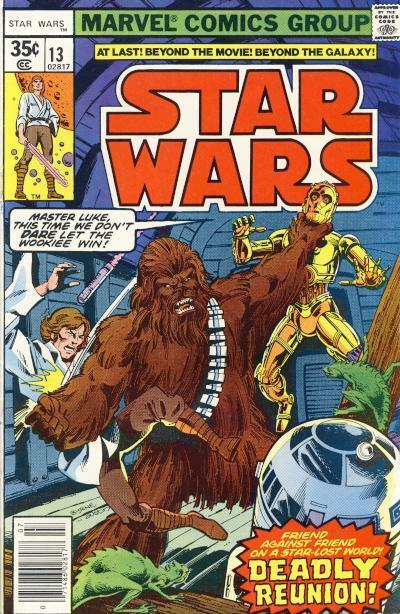 Both covers are competently drawn, but John Byrne's cover does a better job of conveying the peril that Luke Skywalker, C-3PO, and R2-D2 face with an enraged Chewbacca. 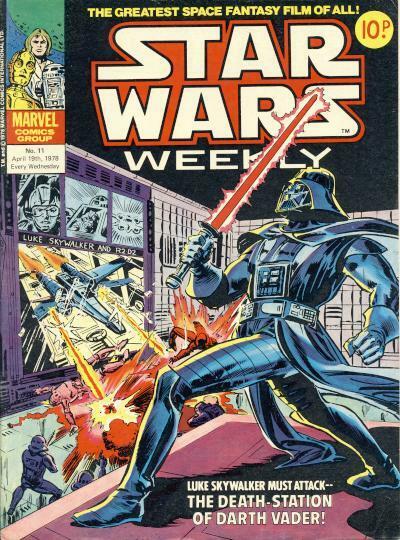 New covers had to be commissioned for the British Marvel Comics Star Wars Weekly although existing U.S. covers were reused as well. 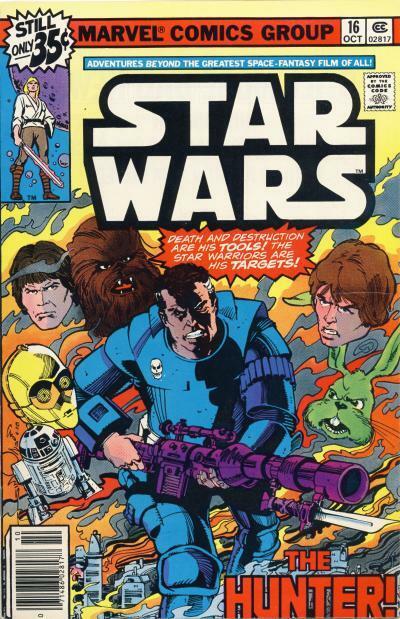 In some cases, the U.S. cover was changed slightly for the Star Wars Weekly. 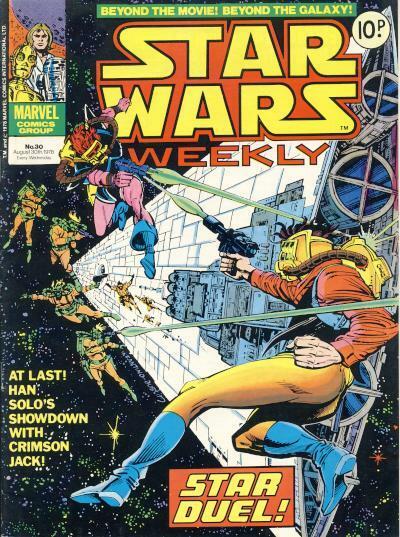 This the case for Star Wars Weekly #33 based on Star Wars #17. Gone are Luke Skywalker and Bigg Darklighter's Skyhoppers threading Beggar's Canyon with the twin suns of Tatoo I and Tatoo II beating down on them. Also gone are the wrecked militia scout Landspeeder, scavenger Jawas, and menacing Tusken Raiders. Instead, they are replaced by a star filled background dominated by the Millenium Falcon with several more Skyhopper escorts. Luke Skywalker is no longer threatening to fire his blaster, he is blasting away! The colors for the reused art have also been modified. The original U.S. art for Star Wars #17 better represents the story inside. The Millenium Falcon only shows up in a framing sequence for the story whereby Luke Skywalker is sitting in the Falcon's cockpit daydreaming about this event from his past on Tatooine. Both covers convey action on the part of our hero, so I'm at a loss to understand why the original art was not used unchanged. 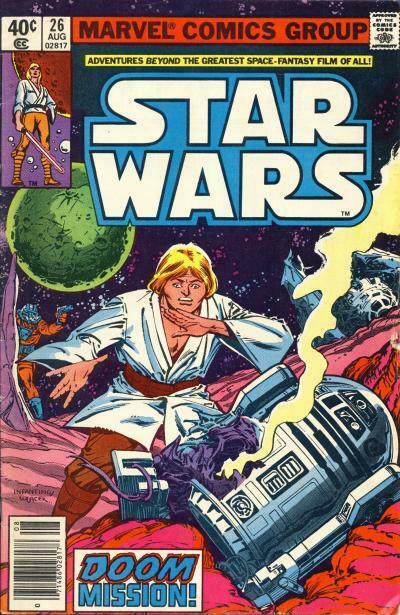 When Star Wars came along, British youth were already consuming their comics in a weekly format for decades, so it was natural that the Marvel Comic Star Wars stories would be adapted to the weekly format for the British population. 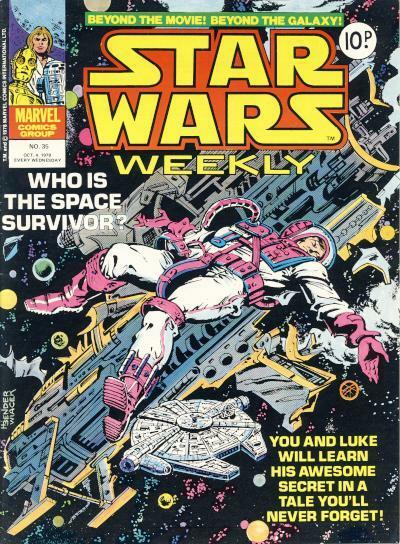 This publication came in the form of Star Wars Weekly, a magazine sized comic with the first issue on sale February 8, 1978. Each issue of the U.S. Star Wars adaptation was split into 2 Weekly issues, so the 6 part Star Wars story ran through Star Wars Weekly #1 - 12. Because there were more weekly issues, many new covers needed to be created for the British comic. Star Wars Weekly #11 has an interesting cover that conflicts with an ongoing storyline in the Star Wars comic; namely Darth Vader's quest to uncover the identity of the pilot that launched the photon torpedo that destroyed the original Death Star. 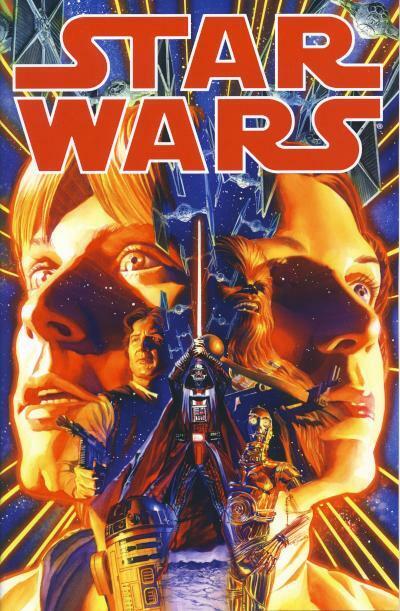 On the cover, Darth Vader is overlooking a view screen with the name of the pilot (Luke Skywalker) and his droid companion (R2-D2) clearly shown. The scene depicted on the cover never occurs inside the pages of the comic (remember, this is an adaptation of the movie.) It must be remembered when looking at these covers that many comic covers are sensationalized to sell comics and do not necessarily reflect the stories within. The back cover of Star Wars Weekly #11 is equally as interesting with a poorly drawn Luke Skywalker and Princess Leia holding... Force Beams? In the period following the success of the first Star Wars movie, many companies tried to cash in on the Star Wars fame and one popular and easy way to do this was to create a knock off of the infamous lightsaber. 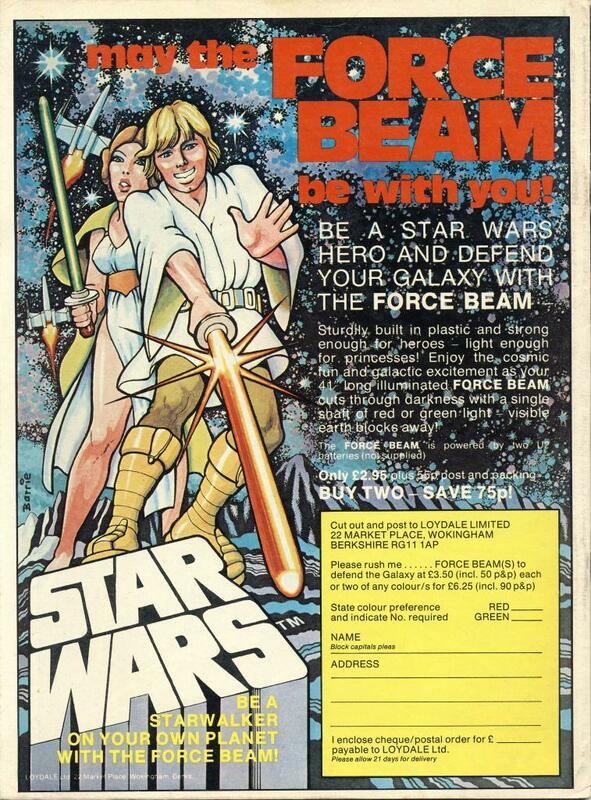 It is unclear from the ad if Loydale Limited had a license to produce these Force Beams and market them as Star Wars products. The Star Wars logo is not one of the designs typically used for Star Wars items and the poorly drawn figures of Luke and Leia tends to make one believe this is unofficial merchandise. It should come as no surprise that Star Wars was a huge hit in England since much of Star Wars was shot at Pinewood Studios, London. Many of the secondary characters are played by British actors as is evident by several imperial officers with noticeably British accents. In an effort to capture the original movie's zeitgeist, parts of the next movie, Star Wars: The Force Awakens, is also being shot at Pinewood Studios. What might be surprising is there were more formats of the original Marvel Star Wars story printed in England than in the U.S. The main publication is the Star Wars Weekly magazine, but they also had a regular pamphlet sized comic (which is sadly missing an issue #1 and differentiates itself from the U.S. version by having the price in pence), the Treasury sized adaptations (also the same as the U.S. versions but in pence), a hardcover annual, and of course the paperback sized Marvel Comics Illustrated Version of Star Wars. The U.S. version was published by Del Rey, but the British version was published by Sphere Books. My guess is these British formats are included in the calculations that state Star Wars #1 sold over a million copies. From time to time, when I make a back issue comic purchase online, the seller will send one or more freebies with the purchase. Mostly the freebies are other comics, but at times I have received trading cards or even photo copies of original art. A few weeks ago, I purchased Marvel Star Wars #2 - 6 and Annual #1 from a seller in Tucson, Arizona and I received a cool ad for the Star Wars movie clipped from a Tucson newspaper. 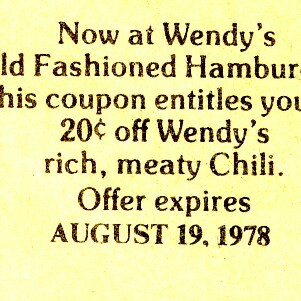 The clipping is from 1978 (the reverse side of the clipping has a crossword puzzle and several coupons for the Wendy's fast food chain which help date the ad) and seeing this ad for Star Wars rekindles the excitement I have for the Star Wars movies and the Star Wars comics. To me, the ad is visually appealing. What kid (or adult for that matter) could resist wanting to see this movie? All the main heroes are beautifully rendered, the landspeeder is featured in the foreground and looking splendid, and Darth Vader (sporting a cape Dracula would be proud of) and his cadre of Stormtroopers are ominously presented in the background. Only poor Chewie looks like he was tacked on just to get him into the ad. Peter Cushing is mentioned as a star, but his character, Grand Moff Tarkin, is not shown. Japan is a bastion of pop culture properties, so it should be no surprise that the Japanese like many other people from around the world embraced Star Wars. 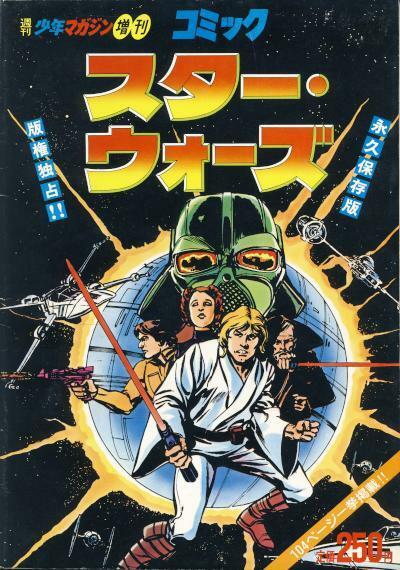 In Japan, the 6 part Marvel Comics Star Wars story was published in several issues of a manga anthology as well as a dedicated trade paperback which collects issues #1 - 6. This comic has a mixture of full color, partial color, and black and white pages. 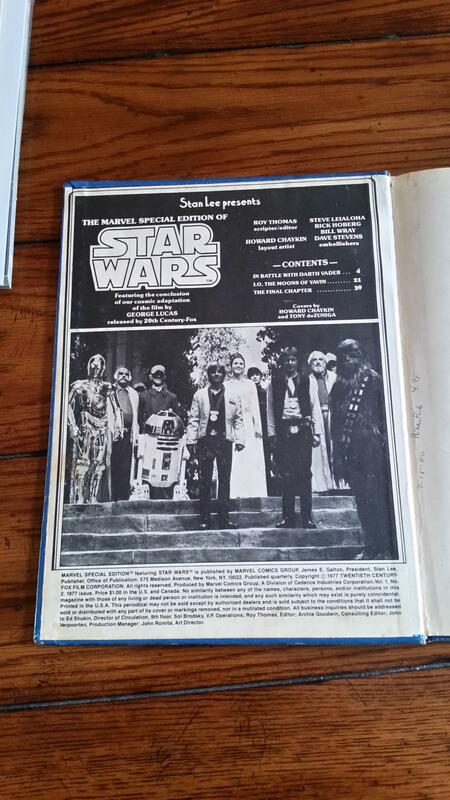 What makes this foreign edition of Star Wars truly remarkable are the ads. Most of the ads in this comic are for Star Wars toys and merchandise, many of which were available only in Japan. My best friend growing up was from the Philippines and he had a large C-3PO which fires a missile from the chest which is shown in one of the ads. 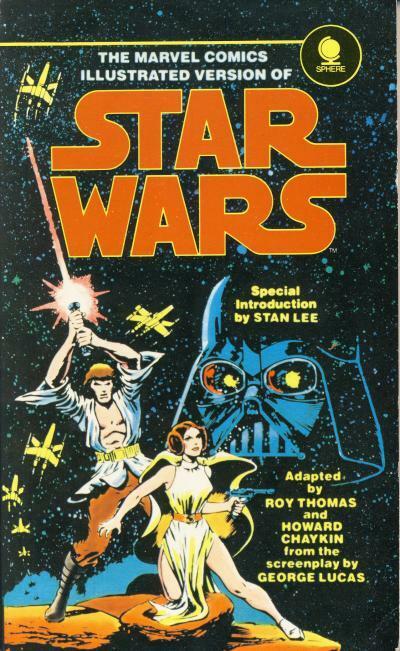 Marvel in the U.S. did not publish a trade paperback of Star Wars, which also makes this a unique item. What is surprising is how similar in size to modern U.S. trade paperbacks this book is. 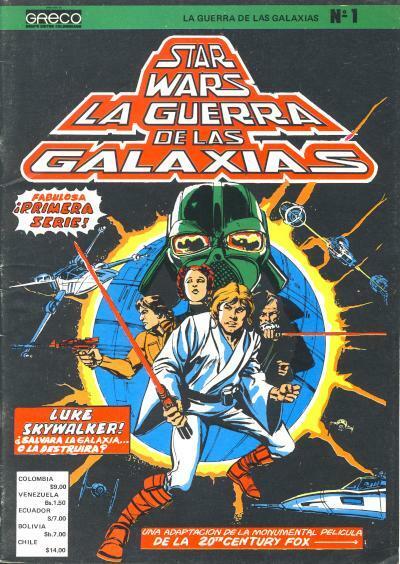 The final Dark Horse Star Wars comic was available for sale from November 7th - 9th, 2014 in Mexico City, Mexico at the La Mole Comic Con International. 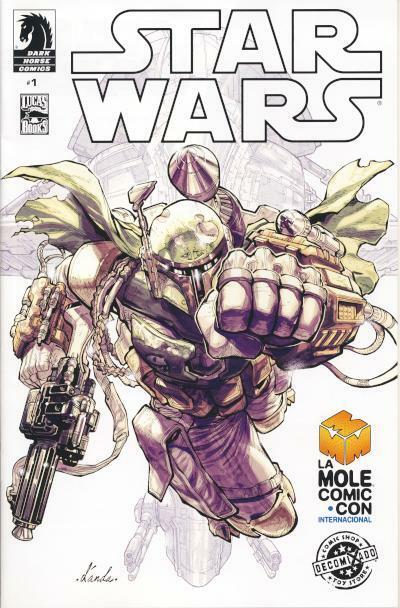 It is a reprint of Dark Horse Comics Star Wars #1 (2013) with an alternative cover featuring Boba Fett. This is the 3rd volume for the Star Wars title following the first Marvel Star Wars (1977) and the first Dark Horse Star Wars (1998) titles. When Marvel publishes Star Wars #1 again in a few short weeks, that will be the 4th volume to feature the Star Wars title! Star Wars #1 (2013) was a success for Dark Horse and they went back to print 3 more times. 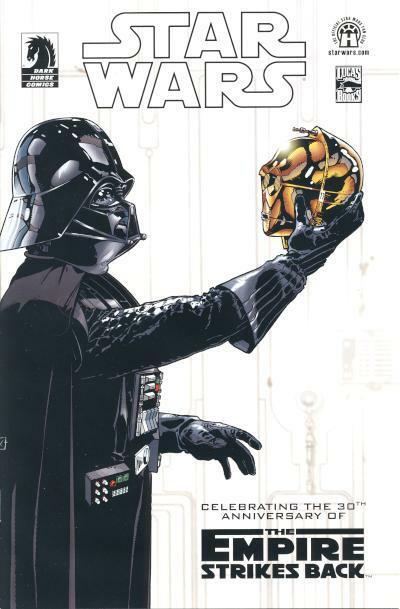 Dark Horse has had to go back to print several times for their Star Wars titles over the years, including for several issues of the first Dark Horse Star Wars title ever, Star Wars: Dark Empire, which was a sleeper hit. 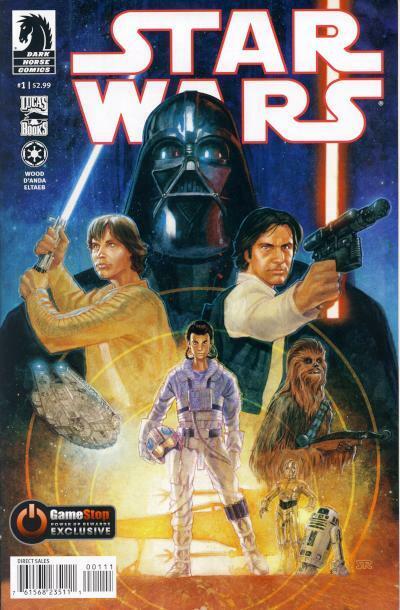 In addition to the 4 printings, Gamestop and Hastings also had exclusive covers for Star Wars #1 (2013). 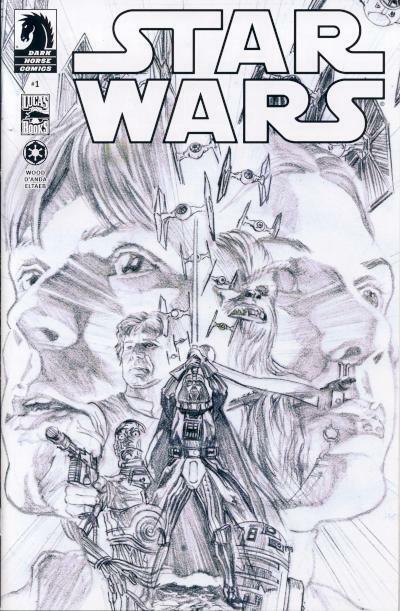 Three months after Star Wars #1 (2013) was release, Dark Horse released a sketch cover variant to celebrate the title's success. 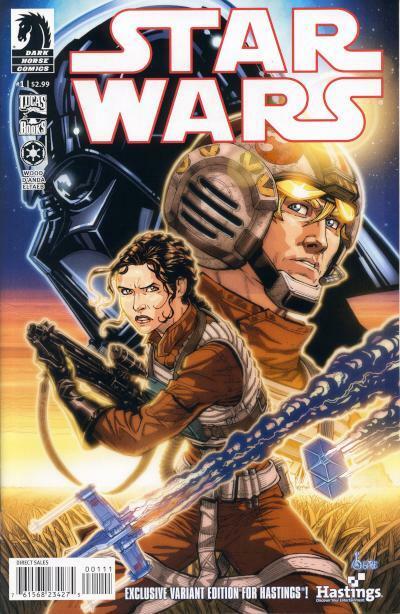 Within days of release, the Star Wars #1 (2013) first print sold for $15 - 25. It has since cooled off and can routinely be found for less than $5. The Star Wars #1 (2013) retailer sketch cover sold for $125 - 150 initially. It has also cooled off and can be found for less than $50. The One That Got Away... Twice! Everyone has at least one grail they would love to add to their collection; a comic that they covet above all others. In my case, there exists 4 grails: Marvel Comics Star Wars #1 - 4 with the $0.35 price and bar codes in the UPC rectangle. For many Star Wars comic collectors, these are the most expensive comics you could add to a collection. It is estimation only 1500 copies of each of these comics were distributed to select cities, or test markets, to see if people would mind the nickel increase from $0.30 to $0.35. The test must have been a success, all copies of Star Wars #5 on were priced at $0.35 or more. There were a few times in the past 35+ years of collecting that I could have stretched myself financially and purchased one of these grails. In fact, I did make the attempt, twice, and in both cases, I ended up without one of my grails! The first time I attempted to purchase one of these grails was about 4 years ago when Koch Comics listed a Star Wars #2 $0.35 price variant on eBay. The Buy It Now! price was only $60. That should have been my first clue there was going to be a problem as the price was a remarkable deal. I eagerly hit the purchase button, sent my PayPal payment immediately, and waited. And waited. And waited. Finally, after 3 weeks had expired, I wrote a message to Koch Comics inquiring about my purchase. They had lost the comics (or so they claimed.) 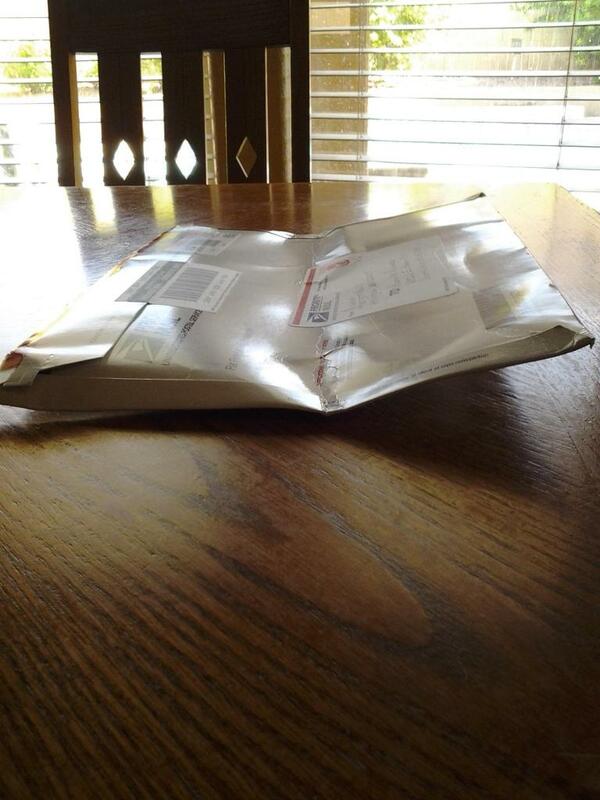 Instead, they refunded my money and sent me a Droids TPB and some other beat up Star Wars comics as consolation. Talk about disappointment! I could just cry! Here I had finally received one of my grails, but it had been damaged in shipping. I could not blame the post office for this one; the comic was in an USPS priority mail envelop without heavy cardboard for protection. 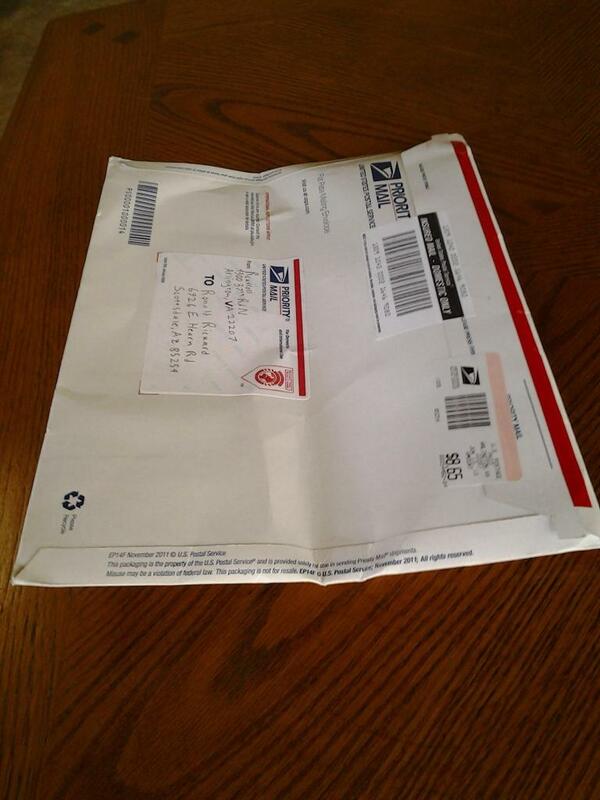 That comic sat in that envelop for a whole day while I pondered opening the package. I was mad. I was sad. Ultimately, begrudgingly, I decided not to open the package and sent the package back to the seller and asked for a refund. I had resigned myself to accept that owning one of these grails was not meant to be just yet. I do not know if I made the right choice that day, but I do know that eventually, the stars will align and I will make another attempt to purchase one of my grails. While these $0.35 variations are harder to find that most, like most U.S. published comics, they can be found and it usually comes down if you want to spend the money being asked or not. That is not always the case when it comes to foreign Star Wars comics, which is one of the reasons I decided to pursue a foreign Star Wars comic collection. With the release of Marvel Comic's new Star Wars title just 2 weeks away, it is apropos to spotlight one of Marvel's first Star Wars character creations, Jaxxon. Jaxxon for all intents and purposes is a man-sized green talking rabbit which unsurprisingly was not out of place in the Star Wars comics published in the 1970s. In the four color world of comics, Jaxxon fits right in with other denizens of Aduba-3 and many other locations inhabited by strange aliens frequented by our roving Star Warriors. In his first story in Star Wars #8, he partnered with Han Solo, Chewbacca, Hedji (a man-sized porcupine), Amaiza, Don-Wan Kihotay, the Starkiller Kid, and FE-9Q to defend a village on Aduba-3 from the outlaw Serji-X Arrogantus and his band of Cloud-Riders. 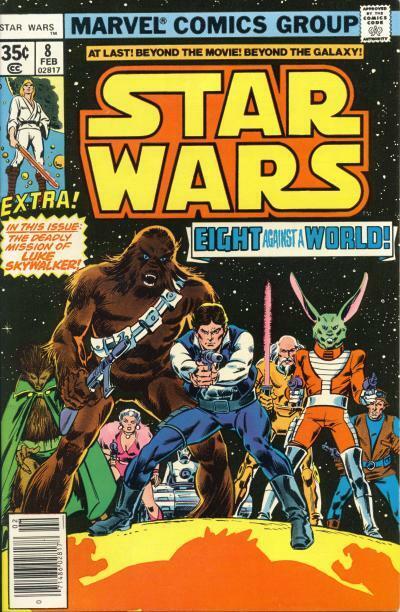 Jaxxon would go on to appear in 5 issues in the Star Wars title with his last appearance in Star Wars #16 featuring him and Amaiza teaming up to defend the Starkiller Kid from Valance the bounty hunter. Jaxxon's quirky look and story left an impression on many Star Wars comic fans as is evident by the fact he is the character introduced in Star Wars #8 that everyone remembers. 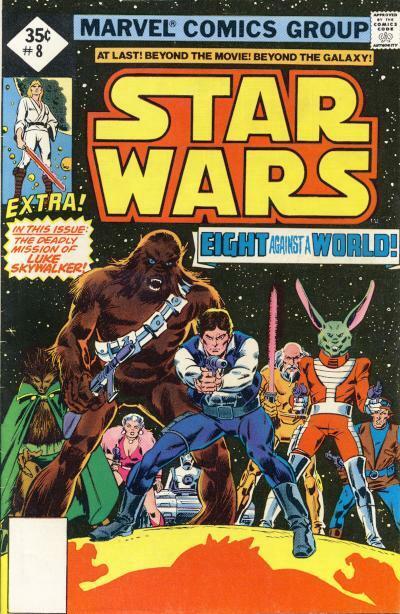 There has been speculation that now that Marvel has the Star Wars license back, the Jaxxon character will be revived and turned into the Star Wars universe equivalent of Marvel universe's Rocket Raccoon. His upcoming appearance on the "party" variant cover for Star Wars #1 has provided fuel for that speculation. There has been no noticeable price movement with Star Wars #8 due to this speculation however, with that issue selling for $3 - 6 in NM condition. I believe this speculation will prove to be false as the passage of time will show Jaxxon to be a fondly remember, but ultimately unusable character.